Here's a truly outrageous artifact from 1986, and something that puts the best intentions of most company paperwork these days to shame. 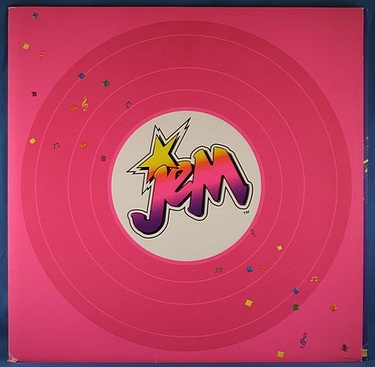 A hot pink JEM record is the first thing you see, but it opens up to contain style and design guidelines for the new pieces in the line. I'm just delighted by the obscure nature of this piece, not to mention the bold colors and 80-rific designs! One of us should certainly add this to their collection! Oh yeah, $650 - heh.